How exciting! 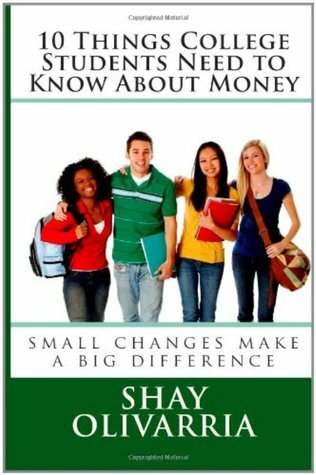 Financial Education Speaker & Author Shay Olivarria will be a guest on the Youth Success Show June 7th at 2pm EST. Show hosts Sarah Newton, Linette Daniels and I will chat about how parents can share financial literacy concepts with tweens and teens without lecturing to them. Call in with your questions (347) 324-5003! Looking for a great resource to teach your teen about money? Order 10 Things College Students Need to Know About Money now! I just completed a wonderful interview with Paul Petillo (managing editor of BlueCollarDollar.com and Target2025.com) and co-hosts and founders of FinancialFootprint.com Dave Kittredge and Dave Ng (both of whom have extensive backgrounds in the world of financial services) of the Financial Impact Factor Radio Show. We talked about financial education for students, 401k options for recent grads, the awesomeness of credit unions, and why those for-profit colleges aren’t what they are cracked up to be. Listen to the show here. I am opinionated aren’t I? LOL Enjoy! 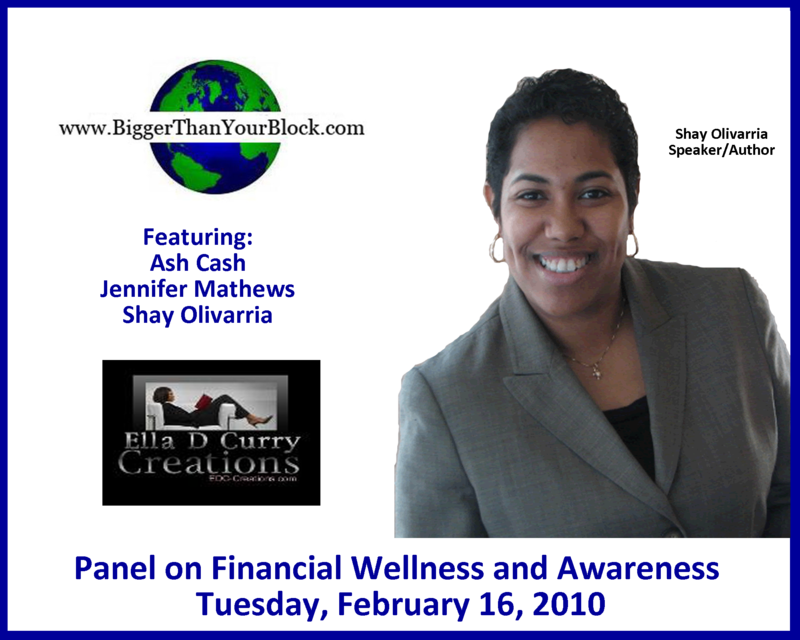 In case you missed me on Black Authors Network’s Financial Wellness and Awareness Discussion, here it is. My portion begins at the 1.5 hour mark. I was featured for about 45 minutes. There were two other authors, Ash Cash and Jennifer Mathews, featured on the show as well. I believe all our books can be found online at Amazon.com. I’ll also be featured in Black Pearls Magazine in March. Want to hear more radio shows featuring Shay? Visit Bigger Than Your Block and catch me on the Terryl Ebony Show, the Hollis Chapman Show, and the Cheap Cheetah Show (twice!). This week’s radio show is about paying for college, so this week’s Money Management in 1 Minute tip is: don’t sign anything you haven’t read and don’t understand. Many of us have taken on a feeling of, “they’ll tell me the important parts that I need to know” without realizing that the old adage is true “in life, you’re either selling or you’re buying”. Those that are selling us something (mortgage, loan, etc.) are trying to make sure that we sign the paperwork. It is up to each of us to make sure that we know what we are getting into.